The College of Business invites all business majors to attend the Business Internship Mixer from 2:30-4:30 p.m. Friday, Aug. 15 in the Tech Commons Area of the Shea Street Building. COB students seeking an internship now or in the near future should plan to attend this free event. 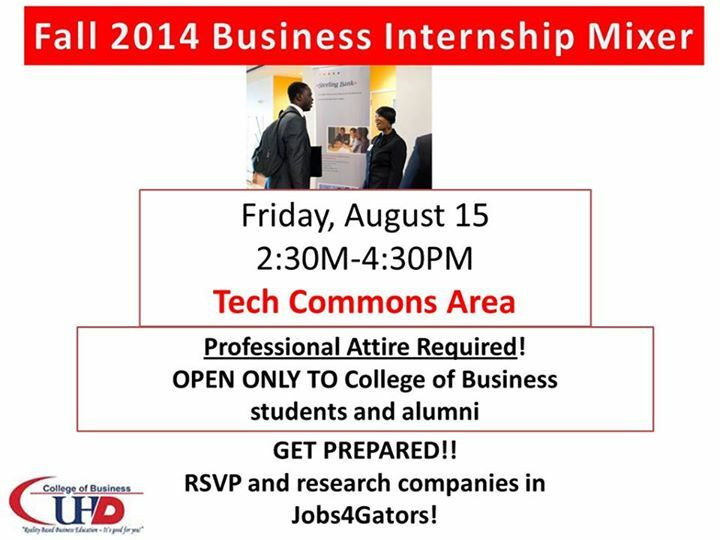 Access your Jobs4Gators account here in order to RSVP and research attending companies. Students must be dressed in professional attire. For questions or for more information, please contact Brett Hobby at HobbyB@uhd.edu or 713-221-5075.